Peaches make the most delicious smoothie flavor! 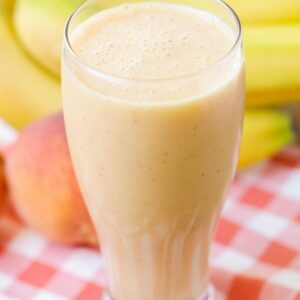 Add some bananas, yogurt, and a little orange juice and you've got the perfect breakfast or lunch! Combine all ingredients in blender container; blend 1 to 2 minutes or until smooth and frothy.